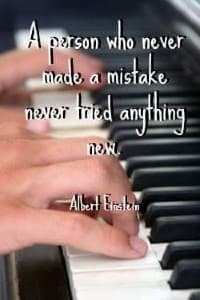 Here is a collection of timeless piano quotes, to inspire and motivate. Have a quote you love? 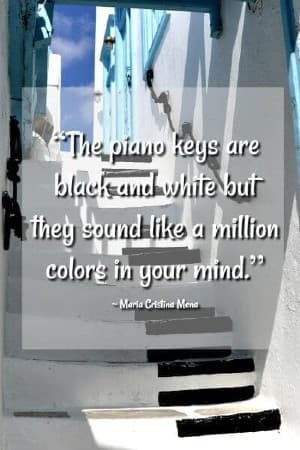 Something that inspires your piano playing? 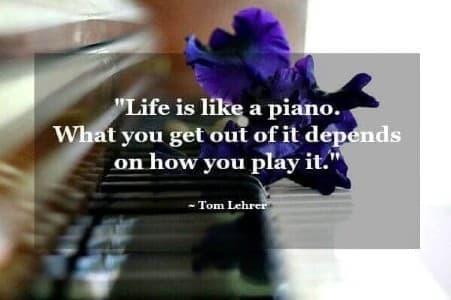 You can also add to this compilation with your favorite quote or saying about piano playing. "Over the piano was printed a notice: 'Please do not shoot the pianist. He is doing his best'." "The secret of getting ahead is getting started. The secret of getting started is breaking your complex, overwhelming tasks into small manageable tasks, then starting on the first one." "The sonatas of Mozart are unique; they are too easy for children, and too difficult for artists." "Musical compositions, it should be remembered, do not inhabit certain countries, certain museums, like paintings and statues. The Mozart Quintet is not shut up in Salzburg: I have it in my pocket." "Prayer is when you talk to God. Meditation is when you're listening. 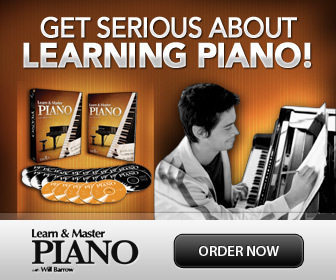 Playing the piano allows you to do both at the same time." Piano Playing Questions? Ask Them Here!